Trust is a highly valued commodity in today’s society and workplace. Learn how, as a coach, to develop and build that trust by exploring The Neuroscience of Trust in Coaching with Michael Marx, a Professional Certified Coach specializing in business coaching and corporate consultation. Michael Marx is a noted expert on the effects of fear on adult learning, and his doctoral dissertation was on the promotion of learning in adult mentoring & coaching dyadic settings. A gifted teacher, Michael Marx holds a Bachelor of Arts in German Studies, an MBA, and an EdD in Adult Education. A strong advocate for professionalism in coaching, Michael served on the ICF Global Ethics & Standards Committee and on the Ethics subcommittee for educating coaches on ethical practices. 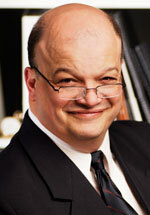 He also serves as president for the North American division of International Neuroscience Management Education (INME).